Theresa May is expected to rebuff a request from Moon Jae-in, the South Korean president, for Britain to relax sanctions on Pyongyang when the two leaders hold talks at the Asia-Europe Meeting in Belgium on Friday. Moon is on a nine-day tour of European capitals and has already held talks with Emmanuel Macron, the French president, during which he proposed that sanctions on the regime of Kim Jong-un be eased in order to encourage North Korea to abolish its nuclear weapons. Moon’s administration appears to be taking an increasingly conciliatory line with Pyongyang, which has made no meaningful progress on scrapping its nuclear arsenal and has refused to honour a previous promise to provide details of its nuclear facilities. Immediately after their talks on Tuesday, Macron reiterated that France remains committed to the complete, verifiable and irreversible denuclearisation (CVID) of North Korea before sanctions imposed by the United Nations can be scaled back. “France highly appreciates South Korea’s efforts to make headway in getting North Korea to publicly and unequivocally embrace the CVID concept”, Macron said at a press conference alongside Moon at the Elysee Palace. “We are here to help you and support you”. Moon was on Wednesday in Italy and is expected to seek support for his sanctions initiative from Giuseppe Conte, the Italian prime minister, and Pope Francis during an audience at the Vatican. Convincing May of the need to reduce the pressure on Pyongyang is a priority, however, as Britain is one of the five permanent members of the UN Security Council. While Russia and China have indicated they are open to the idea, Britain, the US and France remain opposed to rewarding the regime in North Korea before Kim comes clean on his nuclear capabilities. “I think it is very likely that Moon will get push-back from May, especially in the wake of the chemical weapons attacks that we have seen in Salisbury recently and actions that have previously been considered outside the norms of international security”, said Daniel Pinkston, a professor of international relations at the Seoul campus of Troy University. 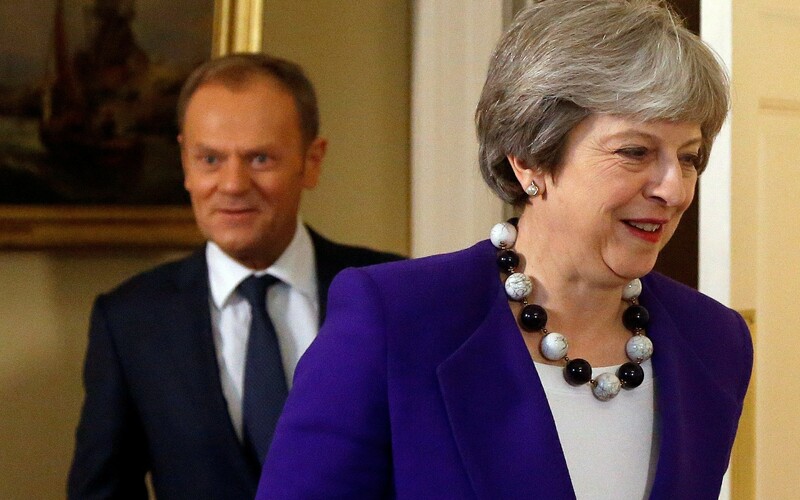 “May is also unlikely to want to break ranks with Washington on this, and it would certainly ruffle feathers in the US if London was to start to bend and talk about engagement and easing sanctions over continuing the pressure”, he told The Telegraph. Seoul’s allies have already expressed concern at what some see as appeasement towards the North Korean dictatorship, with Washington warning South Korean banks and businesses that any moves towards investing in or cooperating with the North will be seen as a breach of UN sanctions. That concern is echoed in some quarters in South Korea, with the Korea Herald newspaper stating in an editorial on Wednesday that “reconciliation is needed, but it must not come at the cost of security. The nation should always be prepared for the worst”. Ex-US Marine accused in N Korean embassy raid ordered detained in L.A.